The 1920s Radio Shack logo. Credit Posted to Pinterest, contributor unknown. Most people think of Radio Shack, the once-popular chain of electronic retail outlets, in terms of its days under the Tandy Corporation. Its roots, however, go back to the earliest days of radio itself. The company was founded in 1921 by the Deutchmann brothers, Milton and Theodore. Located in Boston Massachusetts, their initial market was supplying marine radio equipment, hence the name. After the Titanic disaster, radio equipment on board ships became mandatory. Refitting existing ships presented a couple of challenges. The original pilot houses often did not have room for the relatively large wireless equipment of the day. To be most useful, the radio room needed to be located near the captain and the pilot house. It also needed to be up top for easy access to the large antenna, usually a series of wires strung between the masts. On new builds, the radio room was added to the pilot house, but otherwise a "radio shack" was built topside, as close to the pilot house as possible. Being topside, it also allowed the station to remain on the air for as long as possible in the event of a sinking. The name stuck, not only for the Deutchmann brother’s business, but for radio operators and hobbyists to this day. You would be hard pressed to find an amateur radio operator who does not refer to their setup as their "radio shack," even if it is a table in the corner of his or her living room. The brothers soon added amateur radio equipment to their product line. The stores grew to four locations, located primarily in harbor towns: Boston, Massachusetts, Providence, Rhode Island, and New Haven and Stamford, Connecticut. In addition to the stores, the company did mail order business- primarily through advertising in the various radio magazines of the day. In 1935, as the country began to emerge from the Great Depression, the Radio Shack Corporation went public, and was listed on the New York Stock Exchange. Radio Shack published its first catalog in 1939, when it started to branch into the new "high fidelity" consumer market. This effort was cut short by the war though, as all consumer production of electronic goods was halted for the war effort. The company’s warehouse was well-stocked, and they survived selling radios, kits, and the parts to build them to listeners hungry to hear news of the war. The front cover of the 1945 Radio Shack Catalog. Credit Radioshackcatalogs.com, used with permission. After WWII, it sustained a growth period selling surplus electronic gear, such as the BC-348 receiver that I featured in my October 2014 article. Competitors Allied Electronics and Lafayette Electronics also found the military surplus market to be highly profitable. 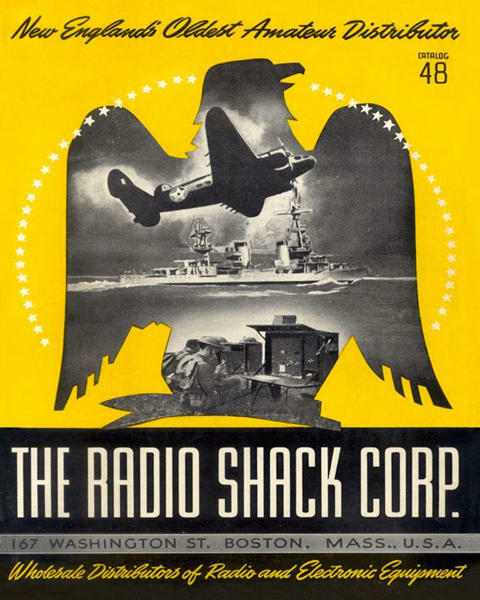 The front cover of the 1945 Radio Shack catalog gives hint of the surplus goodies inside. In addition to the surplus sales, Radio Shack opened its first "audio showroom" featuring amplifiers, speakers, turntables, and the beginnings of this new thing called FM radio. In 1951, the company began manufacturing and selling its own brand of equipment, "Realist." Shortly after they were sued by a camera company over the use of the name, and changed it to "Realistic." During the 1950s the company grew from five to nine stores, and greatly expanded their mail order business. By the late 1950s though, the company was beginning to experience some financial trouble. I have not been able to find much information explaining the nature or cause of these problems. By the early 1960s, the small chain was bankrupt, owing more than $10 million. Hardly a drop in the bucket by today's standards, but I guess that was big money back then. In 1962 Charles Tandy, a Texas retailer and owner of a leather goods chain, purchased the company for $300,000. The story that we (Radio Shack employees) were told, is that as part of the deal, Tandy made an offer to the credit holders (banks was the term used) that if they floated the debt as an interest-free loan for ten years, that he would pay back every penny. We were told that he accomplished this in less than ten years. Thus began the Radio Shack that we are all familiar with. The following is my own story. Back in 1977, I worked for RadioShack- first as a sales clerk, then assistant manager, then as manager of the store on the Black Rock Turnpike in Fairfield, Conn. It was not bad for my first real job. At that time, managers were paid a modest but livable salary, but also paid a percent of what their store earned, and a bonus for exceeding certain goals, a combination of which resulted in a decent income. This was in the middle of the Citizen's Band (CB) radio craze, as well as a time that the company was developing a respectable line of home stereo equipment and speakers. Business was good. The stereo business was highly competitive. This resulted in extremely competitive pricing and low profit margins. Profits were, however, to be made on parts and accessories, often having markups of 120 percent or more. Even though it was boom time, the writing was on the wall for a troubled future. I have been following the recent bankruptcy proceedings, and all of the analysis that goes with it. Some analysts claim that Radio Shack is no longer relevant, that no one is into radio anymore, that hobbyists no longer build anything, etc. Others cite the overinvestment in the cell phone industry, still others bad financing and management- things beyond the scope of this article. If you Google “Radio Shack bankruptcy” it makes for interesting reading. Back in January of this year, an analyst with CNN pointed out that perhaps the company just had too many stores. Radio Shack at one time bragged that they had a store within five minutes drive of 90 percent of the U.S. mainland population. This may work for chains of coffee and donut shops. On the way to work, consumers will stop at the first one they come to, maybe having a preference of one brand over the other, but otherwise not going too far out of the way. I suspect that someone wanting a specific piece of electronic equipment, or a part, would be willing to drive a reasonable distance, say one town away, to get it. This is bolstered by the fact that after the demise of Lafayette Electronics, Circuit City, and others, Radio Shack was pretty much the only game left in town. There are others, but few who sold the line of parts, antennas, etc., that Radio Shack offered. That said, and whatever the reason for Radio Shack's partial demise, I still lament over it to some degree. The store that I used to manage is one of the few in my area that may remain open, possibly to be run as a Sprint cell phone outlet with the remains of a Radio Shack in it. We will have to wait and see what happens to the 1,760 stores that will remain when the dust settles. As for those who question whether Radio Shack, or radio in general, is relevant in today’s world, I must disagree. I admit that I am biased by the business that I am in, but it goes beyond that.  Yes, broadcast radio now has competition from other media sources, but one would be ignorant to assume that the "Radio" in Radio Shack refers only to broadcast radio. There are other aspects, amateur, scanners, weather and emergency alert receivers, and many forms of two-way radio still very much alive. I'll remind readers that, after 9/11 and several severe storms when cell phones and Internet stopped working, broadcasters, hardened by nearly 100 years of experience of doing what we do best, were there to keep you informed. Hobbyists still build things. Radio Shack was keeping up, stocking the Raspberry Pi and other embedded computer parts and things for robotics as well as radio parts. As a hobbyist and broadcast engineer, I am lucky to live near a major parts distributor, and yes, there is plenty available online, but at times it is convenient to be able to just pick up the part you need. Even more so the ability to look at the part to see if it will fit or make an acceptable substitute for the original when you are repairing a piece of gear that needs to be back up as soon as possible. In the end, I hope that something of the chain survives. My long time friend, Ray D. O'Shack, will be missed. Note: There is a limited amount of information available about the early history of RS. Some of this is from presentations given at corporate meetings when I worked for the company back in the mid to late 1970s. I have attempted to separate fact from corporate hype as much as possible. Bits and pieces come from the official Radio Shack corporate web site, Wikipedia, and a multitude of private sites.